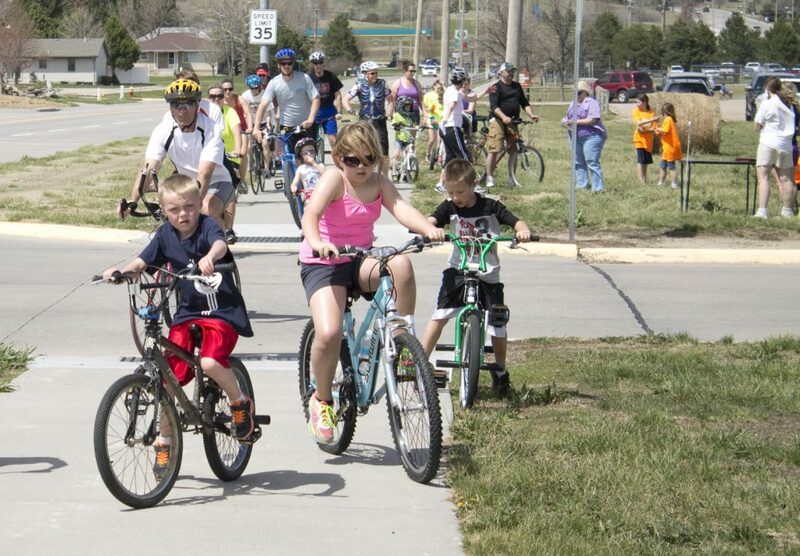 Families packed Eagle Loop Trail at the April Bicycle Sunday. Kearney Park and Recreation’s Bicycle Sunday will be October 6, from 2 p.m. to 5 p.m. The ride will run from Yanney Park to the Great Platte River Road Archway, on Betty’s Trail and Pioneer’s Path. The community ride is held twice a year and promotes a different section of Kearney’s 17 miles of paved trails. In April, over 200 riders pedalled their way across Eagle Loop Trail, visiting checkpoints and filling out punch cards for a chance to win prizes from KPR. Visit the Park and Recreation page on for more information on Bicycle Sunday and to see a map of the trails. Be sure to bring your bike and join the ride on October 6!